The Micro Beacon is the smallest and lightest way to get past gear check at a skimo race. For the 2016/17 season and beyond, the ISMF is requiring three antennas in all avalanche transceivers. This is good news because folks may no longer make a big safety compromise when racing. 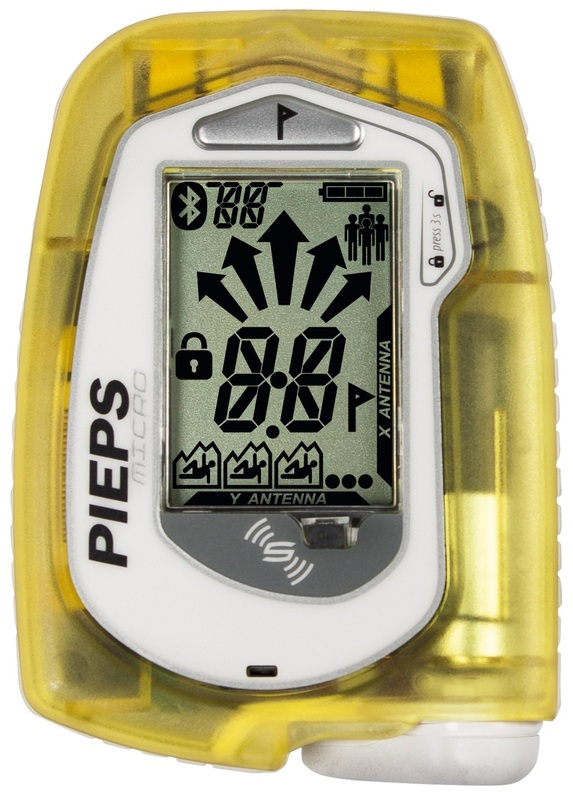 Although somewhat limited in range, the Pieps Micro beacon is full-featured enough for use in the backcountry where you may actually need it to save a life. Smallest & lightest three-antenna beacon on the market. Patented sensor technology improves ease of use & handling. Multiple burials can be flagged so you can focus on just one. Relatively large display makes it easy to read in low light. Software can be updated using a mobile app with Bluetooth®. Search strip width of 50m is impressive for the small beacon*. Includes lightweight chest harness and a bonus wrist strap. * Note some of the packaging incorrectly states the range as 40m, but official word is 50m. Hi for skimo racing whats the exact weight of the transciver only and the transciver+carry bag? Gabriel. Transceiver with battery is 150g, complete with harness is 232g. Not related to this product, but I think at one point there was a tiny transmit-only beacon... is this product still sold anywhere? Guessing the ISMF rules changed, but I was thinking it would be some peace of mind to put on my dog. 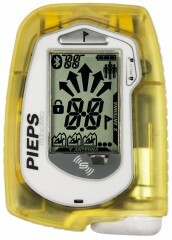 Hey Mbillie1, Pieps does make a dog beacon. I believe it's called the TX600. Let me know and we can special order one for you if you'd like. Hey Mark! You're right, it hasn't been made for at least a season now, but it was called the TX600. It was designed more as a backup beacon with a transmit only mode but I think it had a dog collar and maybe even a harness available for it. Five Stars if you want the smallest and lightest beacon now allowed by the ISMF for racing (or for carrying in a pant pocket for spring & summer tours). Five Stars also even aside from the size and weight, but with one very important caveat: the automated switchover between Transmit <> Search requires that you read the user manual carefully (and realized that the use of "Blocked" is an unfortunately word choice when "Locked" is really intended), understand the screen icons (some of which are not intuitive), and think through some of the situations that trigger the switchover. So if you're the kind of person who gets confused by your current beacon's controls and/or display, then this is NOT the beacon for you: you could end up in the wrong mode, and moreover not even realize it. Otherwise, the automated switchover is really neat in what will probably be something like 99% of the time, but you have to be aware of that remaining 1%. And everything else about the beacon is competitive, despite the diminutive size and weight. Revisiting this review a season later after using it for racing and spring/summer touring: same conclusions as before, but with the caveat to definitely use the included little carry bag when stashing the beacon in a race suit or pant pocket. The reason is that the proximity sensor might not have anything in, well, proximity even if the beacon is in a race suit or pant pocket. For example, when preparing for a race, I turned on the beacon, placed it in my race suit, and done! A few moments later, I unzipped my suit to tuck in my back-up skins and ... eek, I was suddenly searching for all my fellow racers in the lodge! This happened because the material on the inside of the race suit beacon flap apparently didn't make the proximity sensor happy, and with the suit unzipped, the sensor wasn't up against my body either. Fortunately with the little carry bag, the proximity sensor was once again happy, and the beacon stayed in transmit.